The dress rehearsal for the premiere performance of Verdi’s Don Carlos (the original French version for Paris Opera in 1867; the later 1884 Italian version is Don Carlo) ran over five hours. Verdi had already made cuts and had to make more before opening night. Today, productions of either version tend to cut still more. Between orchestra union rules and budgetary restrictions, not to speak of contemporary listeners’ more abbreviated attention spans, even four hour productions are a stretch of resources. But who can resist a work that offers a continuous stream of rapturous Verdi melodies, rooted in profound emotions and sweeping larger-than-life characterizations? The listener quickly and gladly suspends disbelief and has a fine wallow in the musically artistic expression of the miseries of these star-crossed aristocrats. There’s little joy here; even the lovers are doomed never to fulfill their romantic longings. The current production at Buenos Aires’ legendary and elegant Teatro Colon is the Italian version and runs about four hours. It does not include the opening Fountainbleu scene, often restored in contemporary productions, which shows the meeting and falling in love of the Spanish Prince Carlos and the French Princess Isabel. Without that scene, listeners first learn of their love in Carlos’ aria expressing his anguish over Isabel’s betrothal to his father, King Philip II. The role of Carlos was sung here by Dar�o Volonte, a young Argentine, a local favorite whose career is blossoming internationally. 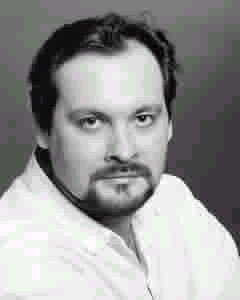 Volonte has a strong lyric tenor voice (though it sounded strained in the upper register) and confident stage presence. The Oedipal conflict thus established (his play written well before Freud, Schiller still had Sophocles, Shakespeare and insight into human nature to draw upon), it will be expressed as well in political rebellion when Carlos’ sympathies follow those of his good friend Rodrigo (long time Teatro Colon baritone Luis Gaeta) in support of the Flemish rebellion against Philip’s persecution–church-driven, of course, since the Flemish were Protestants. The men’s friendship, too, is the basis for "Dio, che nell’alma infondere amor," one of the great male duets in the entire repertory. Then there is the great mezzo-soprano role, the Princess Eboli (Maria Lujan Mirabelli), the ambitious one-time mistress of the king who now wants to win the heart of Carlos. Philip (unloved in his marriage, cowed by the Inquisitor) was sung by Askar Abdrazakov, a basso who has sung in major opera houses around the world. The production at Teatro Colon utilized a unit set against a black backdrop. Several stepped platforms, with varied accessories, managed to effectively convey the large number of different locations required, enhanced by the sensitive lighting, all designed by Roberto Oswald. The auto da fe-coronation scene was noticeably understated–no lurid suffering or flames here, but a tastefully and artistically drawn tableau, much appreciated by the approving audience. Costuming was in traditional period elegance, using generally subdued colors, with an occasional splash of red or gold (for the church dignitaries, of course). The entire production demonstrated the optimal use of what are presumed to be limited budgetary resources (the bane of opera houses everywhere these days). Poor Eboli did not get a single change of costume through the long evening! Sensitively conducted by Bulgarian Milen Nachev, this Don Carlo is, musically speaking, on a par with international standards. But real operatic magic–that moment when the music and the drama and the singer come together to reach in and grab your heart–only emerged late in the evening with soprano Maria Pia Piscitelli’s brilliant delivery of Isabel’s last act aria, "Tu che le vanit� conoscesti del mondo," the thoughts of a mature woman, no longer a naive princess, whose love was thwarted, but now makes peace with God over her fate in the world.